Listen as Jenn talks with Justin Myles of the global dance sensation, ‘Tap Dogs’, coming to DPAC March 19th & 20th. Justin has is quite the pro when it comes to dancing, he’s been on the hit show ‘World of Dance’ showing a new side of tap dance, making him the perfect fit for ‘Tap Dogs’. Wood, steal, ladders, high beams, nothing is off limits for these guys to dance on! But which one is Justin’s favorite? “There’s a front deck that we have, that’s closer to the audience and I think it has a lot to do with the fact that we’re close to the audience…but now that you got me saying this, there’s cypress wood that we have, that we pull apart and push together… there’s something about the crack of that boot when you hit that cypress wood, there’s no sound like it” said Justin. 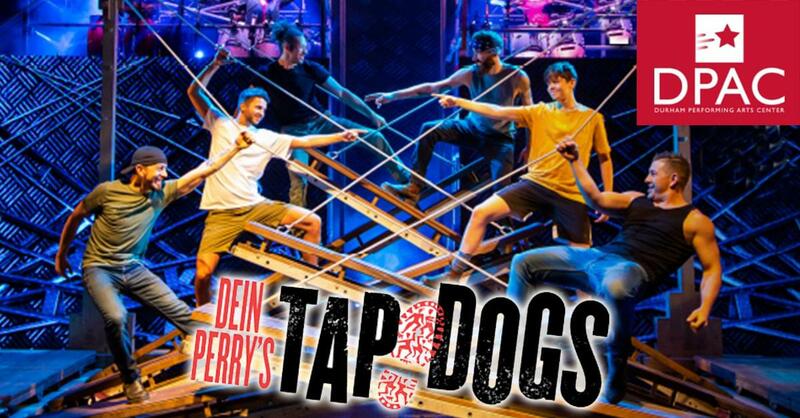 Catch Justin and the rest of the guys of ‘Tap Dogs’ at DPAC March 19th & 20th! For tickets of more information visit DPACNC.com.